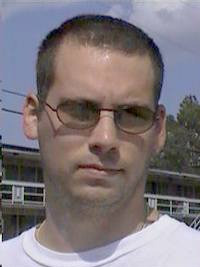 Robert Carmichael LaRouche was born in Houston, Texas on November 23, 1982 to Rosemary and Clinton LaRouche. Rob spent his child hood in the Houston-Beamont- Port Arthur area where his father's family had oil holdings. The LaRouche family had been in the oil business since the early 1900s, but later diversified into other industries in Texas and throughout the Southwest. Clinton LaRouche founded the successful LaRouche Steak Houses with restaurants throughout Texas and Oklahoma and later expanded to other Southern states including Mississippi. Rob spent his life contradicting the stereotype of a rich spoiled son of a multi- millionaire. He was a product of public schools, due to his father's insistence that “the boy needs to learn to get along with all people, regardless of the color of their skin, the language they speak or what their parents do for a living” and had friends from all ethnicities and socio-economic backgrounds. He was well liked by his classmates at all ages, but in high school was regarded as something of a fanatic when it came to environmental and conservation issues. They teased him good naturedly when he nagged them for frequenting fast food or convenience stores that used polystyrene, non-biodegradable containers. He religiously collected aluminum cans and recycled plastic, paper, and glass. But when he headed a successful money-raising campaign for his high school senior class by collecting aluminum cans, they proudly participated. Rob saw no contradiction between the way his family had made their fortune and his interest in conserving the country's raw materials and protecting the environment. In fact, he believed it the duty of the industry to find new energy sources. The summer before Rob's senior year in high school, Clinton invited Rob to travel with him through several of the southern states when he went to look at possible sites for expansion of the restaurant chain. They traveled by car, and it gave the father and son a unique opportunity to spend time quality time together. It also gave Rob an opportunity to see how his father actively participated in the family businesses and gave him an insight into what would be expected of him in the future. Father and son made an agreement that Rob would attend college with a major in business. Clinton knew Rob would need the business background to understand and manage the LaRouche fortune someday. While traveling that summer, they visited Oxford and the University of Mississippi. Rob really liked the small town, college atmosphere and the distance it would give from his family by attending the university there. The School of Business Administration was well thought of, so his father approved. Rob had hoped to take a year off to travel the United States before attending college, but his father made a deal with him to finish college first, and then Clinton would stake him to a year of travel around the states after graduation and before he entered the family business. Clinton understood and respected Rob's intense interest in the environment and supported his son's desire to help conserve natural energy resources. When Rob was to get a car on his 17th birthday, he asked for one of the new hybrids, a 2000 Honda Insight, so that is what his father bought it for him. When Rob got to Ole Miss, he started through fraternity rush, but just before pledging, decided frat life wasn't for him. He wasn't against a beer now and then, but valued his privacy and preferred living alone in his own place. He was something of a loner, but not anti-social, so had an active dating and social life. Rob and Michelle Prescott began dating and hit it off pretty well. She hinted at their future, but Rob has never actually mentioned marriage. He has never revealed his long-planned post-graduation trip, so Michelle is completely unaware of it.